The Winter '15 release is rolling out to production instances this month so I thought I'd provide another update. As promised, we are now moving into the beta release for this feature. Key new capabilities for this release include a new 'report' action which lets you flag duplicates even if you don't want to interrupt the save flow for the user and more options for your matching rules including fuzzy match options for both standard and custom rules. If you'd like more detail, the new functionality for the winter release is documented in our release notes. NOTE: Access during the beta is still limited so please contact your salesforce AE or CSM if you'd like more information on participating in our beta program. Good news, however, is that even if you aren't able to get into the beta, we expect this functionality to be available to all customers with Sales Cloud or Service Cloud licenses professional edition and above in next release. In addition to making the feature generally available in the Spring '15 release we expect to also add support for custom objects, lead convert, and cross-object duplicate rules (such as leads-contacts and leads-accounts). Also, to clear up any confusion - while this feature has been built as a collaboration between the Data.com and Sales Cloud teams at salesforce.com, it does NOT require a Data.com license. You can get even better results with Data.com Clean once you have complete and accurate data in your CRM to help you match your existing records to each other, but no additional license is required to use the feature. I hope this update is helpful. We continue to welcome your feedback and ideas for improvement. We would like this feature yesterday. Thank you. Oh, I was missing one more question, is your "Duplicate Alerts and Blocking" feature gonna check duplicates between Leads and Contacts?? That's a BASIC concept right?? I see a lot of information about how it works but nothing about including other fields than names, phone and email. It's critical that you allow us to include custom fields for records with multiple phones (home & celphone as basic example) or multiple emails. Without this addition your "Duplicate Alerts and Blocking" new feature is gonna keep loosing it's purpose and we are gonna need to keep using multiple "Apps" and "EXCEL" to keep our databases, as much as WE can, without duplicates. What about mass deduplicate options??? maybe this helps a little for NEW customers but what about THOSE full of DUPLICATES TODAY??? will this be delivered with some additional analytics features? It would be nice to have a checkbox to turn off or on all dupe checking. This is important when doing updates and to all records. It allows data maintenece without being hindered by the dupe check. Would also like to have the possibility to merge duplicate "Product" records. Of all the things I had expected Salesforce would have GROWN up about over the past 12-15 years of leadership in this segment, DUPLICATED records was surely at the top of my list. I was stunned by what I found to be the pathetic handling of this fundamental data integrity issue, and the general disregard for customer's needs and low prioritization given to this over the years. We have made good progress on the administrative capabilities around duplicate rules. In the first release we'll offer two actions for administrators: blocking (which presents duplicates and doesn't allow a save) and alerting (which presents duplicates but lets them override the alert and proceed with the save). We've created a good experience for both of these actions when users create and edit records through the Web UI and via Salesforce1. We are also enforcing these rules at the API layer, similar to the way validation rules behave. For administrators, we've added conditional filter options so you can specify whether a duplicate rule should be run on a particular record or user. We've also added a preference to enforce or bypass record-level sharing rules. For our initial release, we've decided to focus on accounts, contacts and leads but we plan to provide support custom objects, opportunities and person accounts in a future release. We are PILOTING these capabilities with selected customers in the Summer '14 release starting in June. 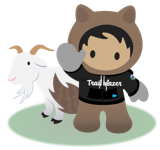 After that (and yes, safe harbor still applies) our plan is to provide broader access to Salesforce customers in the following release via a BETA (Winter '15) that should include a report action and more flexible configuration options around your matching logic. We hope to then go GA for all customers the release after that (Spring '15) with additional capabilities. Please contact your salesforce AE or CSM if you'd like more information on our beta program. Cloudingo a great tool for this.